Bar-i has recently started working with our good friend Patrick O’Neill on an interesting new project that will be opening in Denver’s LoHi area sometime in early spring. O’Neill is one of the cofounders of Avanti Collective Eatery, a new concept that has turned an old warehouse space into a food collective. Avanti will have 7 shipping containers that will essentially act as food trucks. Each container will feature a different restaurant, and there will be two communal bars and a communal dining area shared by all of the restaurants. This format is intended to allow start-up restaurants an easier path to success by sharing space and reducing overhead. Leases will be short-term so that the restaurants featured at the collective will rotate on a regular basis. Bar-i is excited to be working with Avanti Collective Eatery. The concept has the potential to be a huge success and will certainly be a very unique addition to the Denver restaurant scene. In addition to providing bar inventory services for Avanti, Scott and Jamie have been helping Patrick and his partners with a lot of the strategic planning necessary to open a new business like this. This collaboration with Avanti has given us a chance to think about all of the important details that must be addressed when opening a new bar or restaurant. We’ve decided to compile this valuable information into an extended checklist that can benefit new restaurant owners as they get their establishment ready for business. There’s definitely too much information for one post, so keep checking back regularly over the next couple of weeks as we continue to roll out important advice that will help you set up your new bar or restaurant for success. Choosing the right POS system is critical to the success of your new restaurant. Many owners prefer to use the POS system they’ve worked with in the past, and in general that’s a perfectly sound strategy. 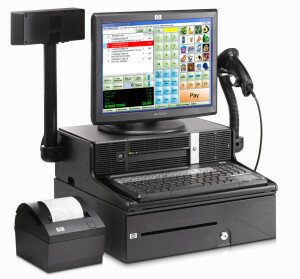 Most of the major POS systems can do what you need it to. If you’re already familiar with the way your current POS system works, you’ll be able to effectively set it up to meet your new restaurant’s needs. There’s certainly no need to switch to a new system if it will create additional work and an increased learning curve. Bar-i doesn’t have a POS system that we recommend over all of the others as we seamlessly integrate any of them . The industry leader here in Colorado is Aloha so that's a popular choice with our clients. We’ve found that Serving Success works particularly well with our hybrid liquor inventory system due to their intelligent handling of modifiers in their reports which is better than any other system we've seen. In our experience, the way you program your POS system is much more important than the actual system you choose to work with. The most important point to keep in mind when programming your POS system is there should be a way for your bartenders to ring in every single product being served so that you can more effectively track the performance of each product you sell. Make sure your managers create buttons for every product sold – These buttons should be created before the product is ever placed behind the bar. Avoid using generic buttons such as “well,” “call,” or “premium” – These buttons don’t tell you what product was actually sold, which ultimately makes it more difficult to achieve the actionable information necessary to track the performance of each individual product. Avoid generic modifiers such as “rocks” or “martini” – These modifiers typically get applied across the board to all different products and result in a standard up-charge for every product. You won’t be able to track how many times these modifier buttons are used with each product, which makes it more difficult to track performance. In addition, having the same up-charge for well drinks and premium drinks will eat into your profit margin since your cost on premium bottles is much higher. Avoid using “open” buttons – “Open” buttons such as “Open Beer,” “Open Wine,” and “Open Liquor” provide a convenient way to ring in specialty orders or one-off promotions. However, they also increase the potential for confusion and undercharging. By taking the time to properly set up your POS system, you will be able to compile detailed data on every product that is sold at your bar. When this information is combined with the data gathered by our liquor inventory system, you’ll be able identify products that are missing. You can then address these issues with your bar staff to ensure it gets corrected. To take advantage of a free consultation on your POS system programming or to find out how our bar inventory system can help you streamline your processes and maximize profits, please contact Bar-i today. We serve bars nationwide from our offices in Denver, Colorado.